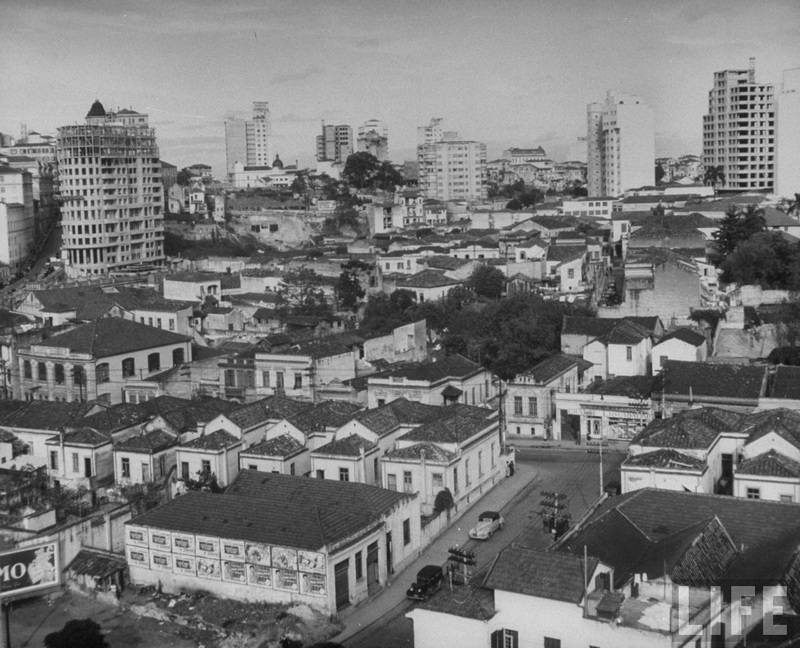 Anhangabaú Valley on gray morning in September 1947, looking south towards Praça da Bandeira. 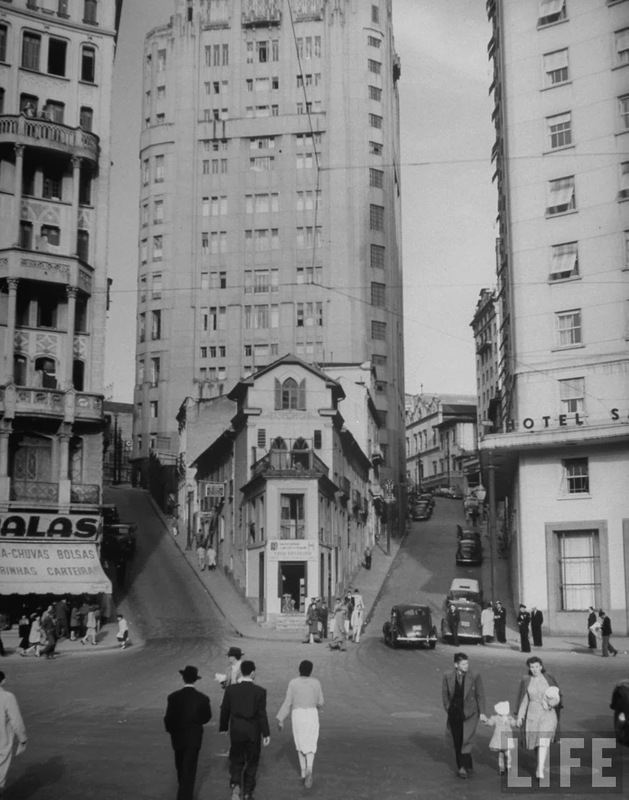 Near Praça da Bandeira, with two steep streets going up to Largo São Francisco with Hotel São Paulo on the right. 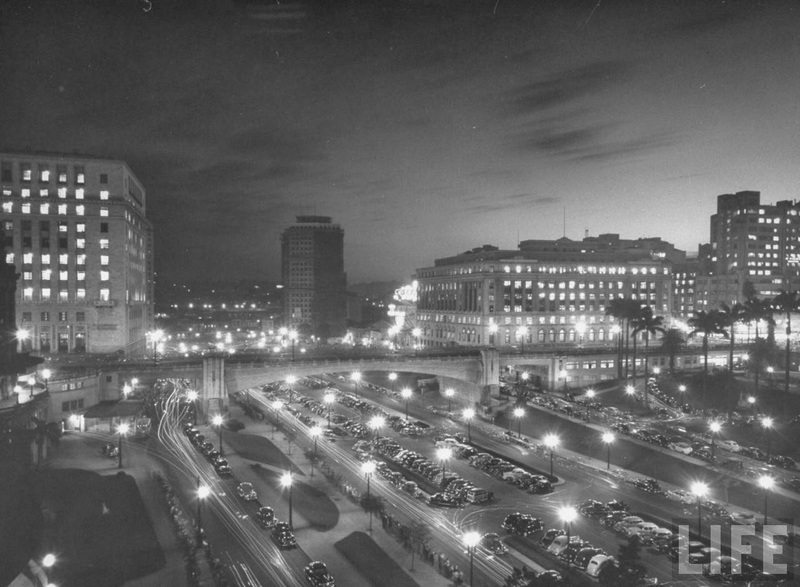 Rua Alvaro de Carvalho looking down towards Praça da Bandeira in 1947. 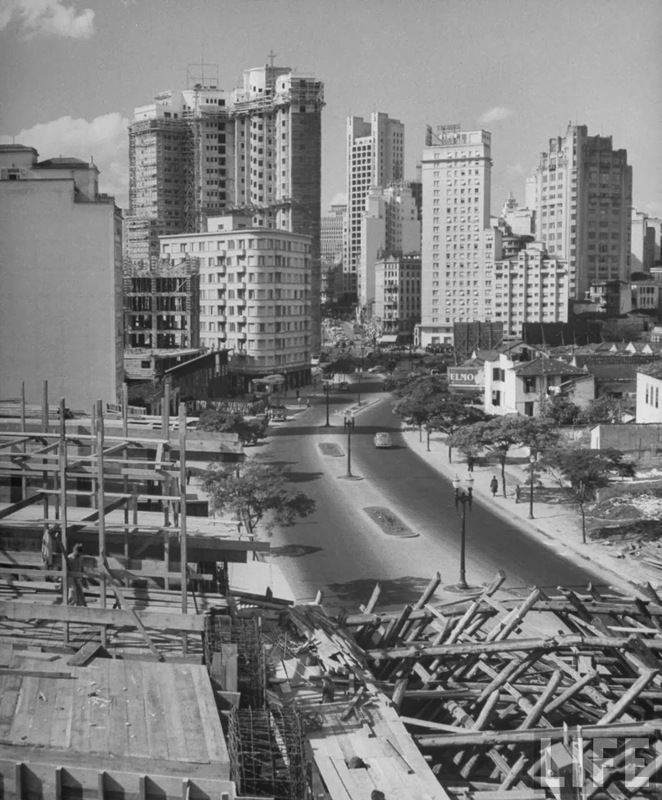 Viaducto 9 de Julho being built in 1947. Viaducto Major Quedinho can be seen in the background. Under Viaducto Major Quedinho looking towards Viaducto 9 de Julho under construction. 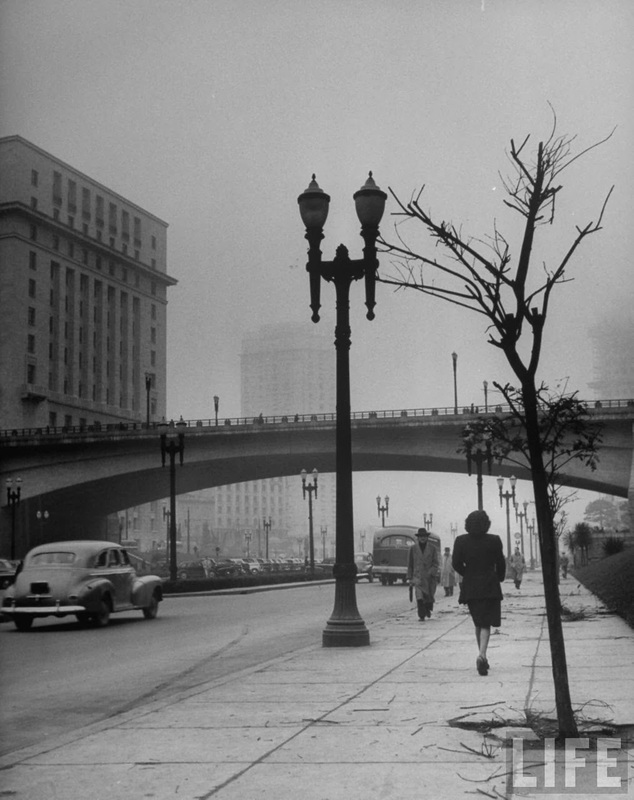 Sept. 1947. 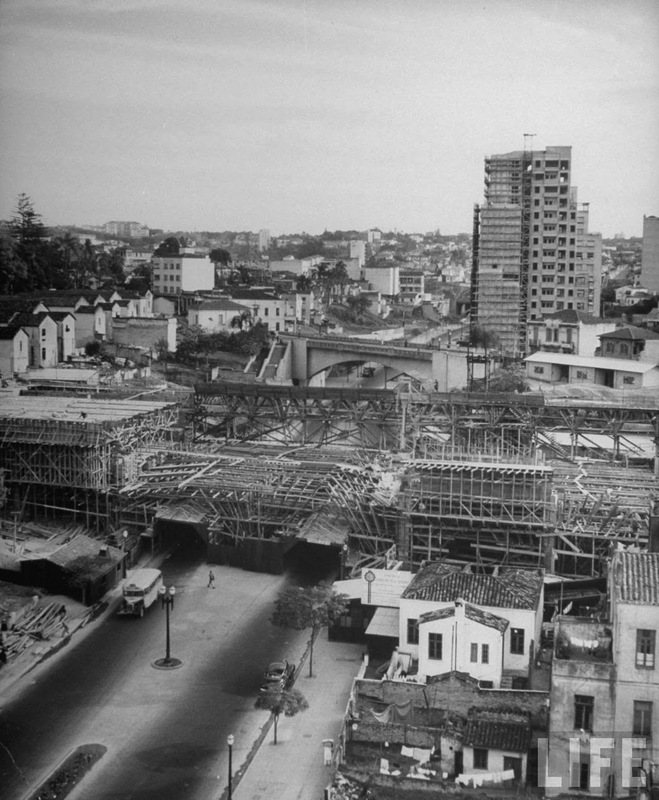 Viaducto 9 de Julho being built. Looking down Avenida 9 de Julho towards Praça da Bandeira. 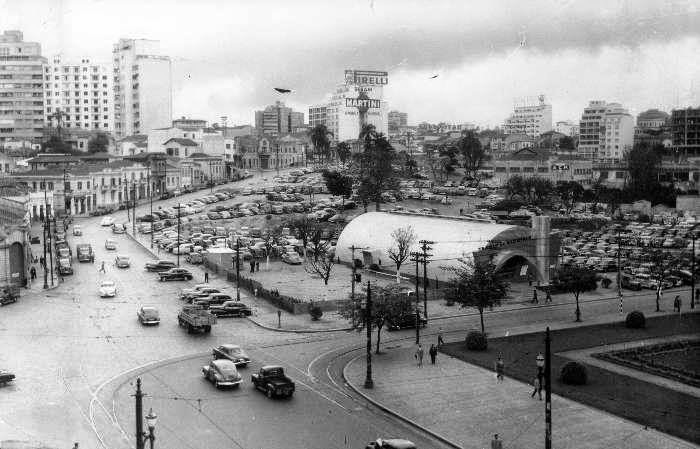 Same area; rua Álvaro de Carvalho on the left and Av. 9 de Julho on the right. Sept. 1947. Low-lying area next to Praça da Bandeira. See São Gonçalo's cupola on top of hill. Sept. 1947. 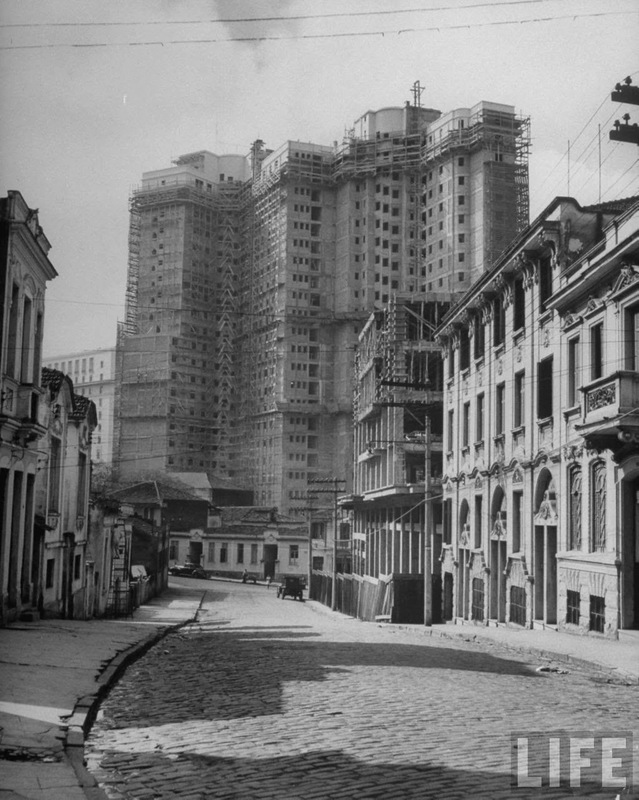 Same area in the 1950s after major demolitions had taken place. One can see Teatro de Aluminio (Aluminium Theatre) whose whole structure was imported from the USA and assembled in this vacant lot that had been filled with houses. Margaret Kennedy's 'Constant Nymph' ('De amor também se morre') was the first play staged at the new theatre in May 1952, translated by Maria Jacinta with directions of actress-director Dulcina de Moraes. This area has never actually recovered from the major demolitions of the late 1940s. 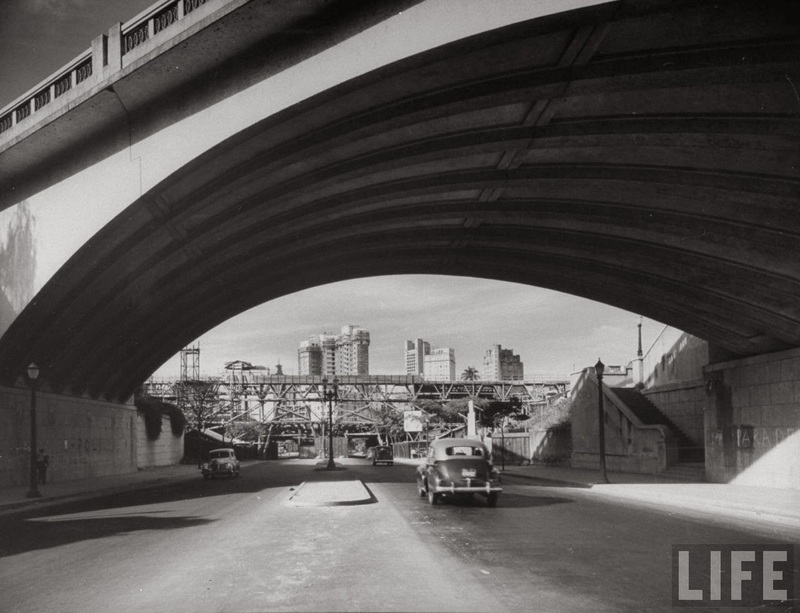 It became a parking-lot for decades, then a dingy bus terminal. 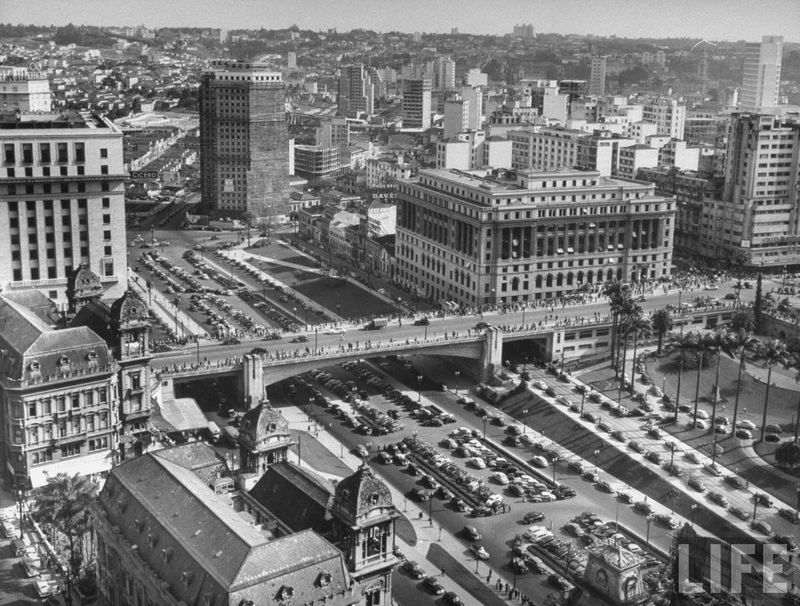 Aerial view looking at Viaducto do Chá & Avenida 9 de Julho beyond. Sept. 1947. Exactly same area at twilight time. 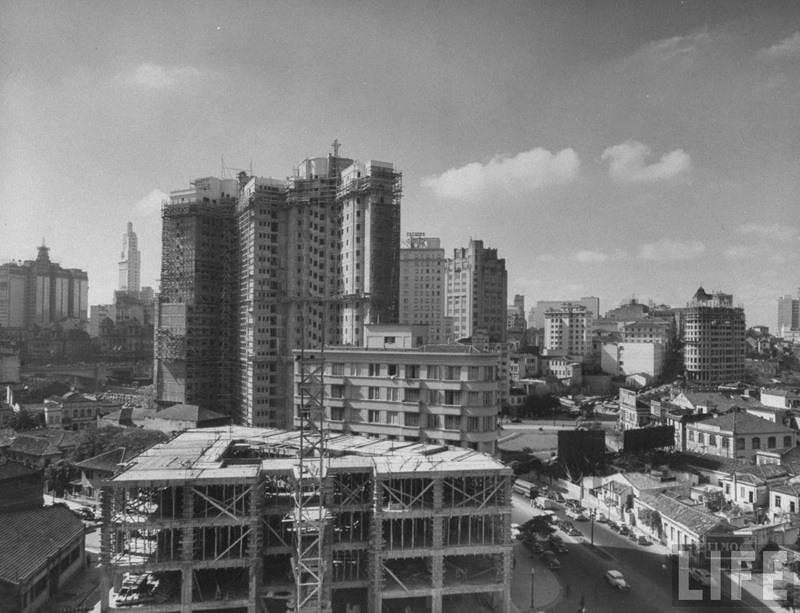 Sept. 1947.